As a follow-up from my 10 Things I Hate About Quilting post, it seems fit that I’d share with you the top 10 Things I Love About Quilting. Some are very simple pleasures while others are what keep me coming back! In all honesty, it was hard to squash it all down into only 10 things, but I’ll try my very best to keep to it! Love One: Seeing the development of an idea coming to life! 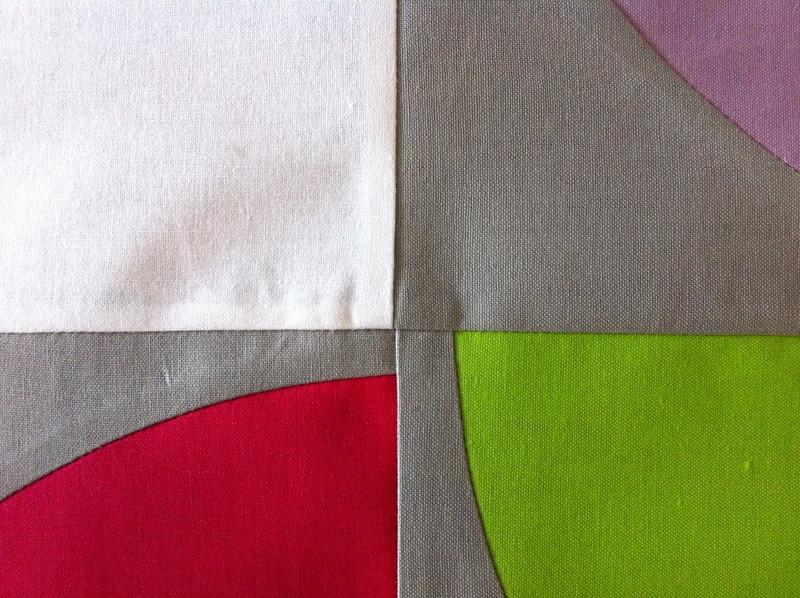 Love Two: Binding a quilt. 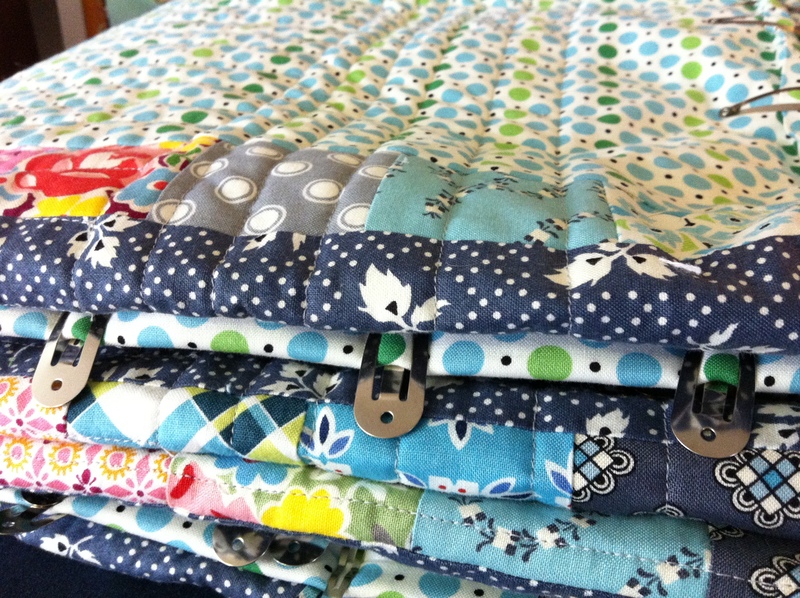 I don’t know about you but I love it when it’s time to bind a quilt. I think it’s because I’m so close to finishing the job! I think, ‘the hard part’s over (quilting!) and now it’s time to relax and loose myself in some therapeutic hand sewing!’ This usually involves a good movie or two! Love Three: Perfect seam joins! Ohh, I swoon at perfect seam joins! My heart skips a beat and I feel all first-born-mother-proudish at producing something that is so clean, crisp and even. That simple moment of pleasure when I stop my sewing machine and simply run my hand over the tactile surface of the quilted lines I’ve just sewn. It just gets stuff done! 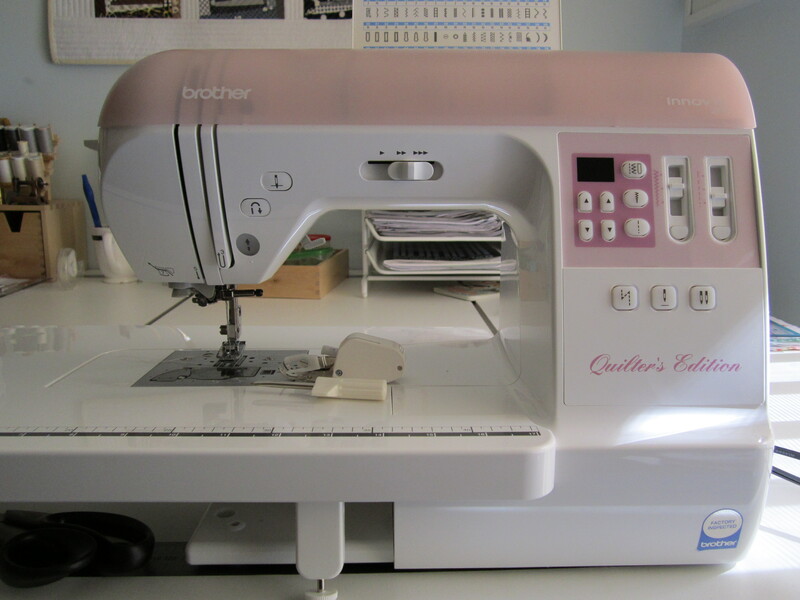 I love taking the time just getting my sewing machine prepared and ready to go. From re-winding the bobbin, to threading the machine, changing the feet from a quarter-incher to a walking foot and getting to the stage of whirring my machine into life. Each step I take is with great care and attention to detail (that’s thanks to my OCD Monster) and with a sense of gratification that I’m so lucky to possess such a wonderful tool! I love sharing what I’ve made (duh, that’s obvious – ‘hello little blog!’) whether that is here, on Pinterest, Flickr, Twitter or Facebook. I think it’s all down to that surge of happiness and pride you feel in one’s self of achieving something quite lovely. I also think it must be a Gen Y thing, where we all feel the urge to share and divulge our lives to everyone and anyone who will listen…no? Yes. There was a time in this young quilter’s life where I hated basting! 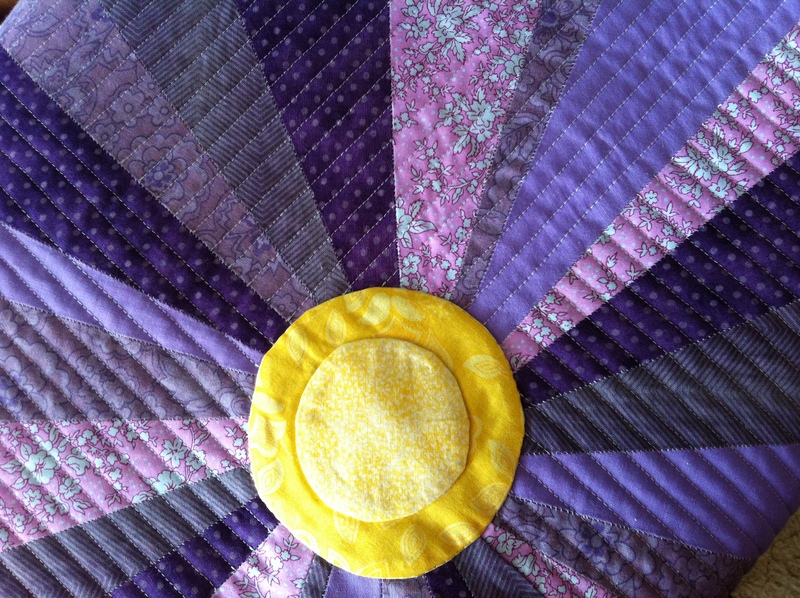 I would put off basting a quilting for ages as it meant that I had to roll around on the floor, ever so ungracefully, and stick pins throughout the whole of the quilt. 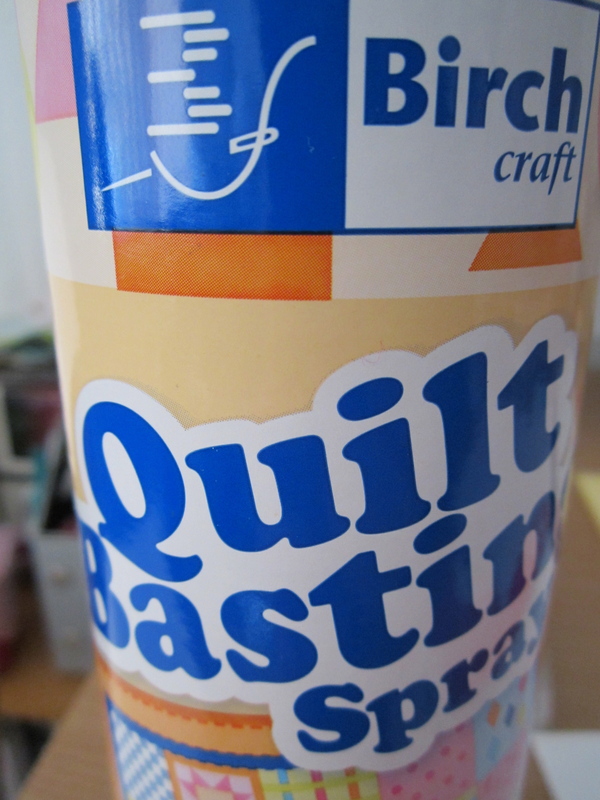 Then, along came the discovery of a product called Quilt Basting Spray and my life was changed forever! Safe to say I was proven wrong (happily!) and I haven’t looked backed since. Basting is now one of my most favouritist steps to undertake – it’s fast, it’s quick and it doesn’t take your back out! Yay! 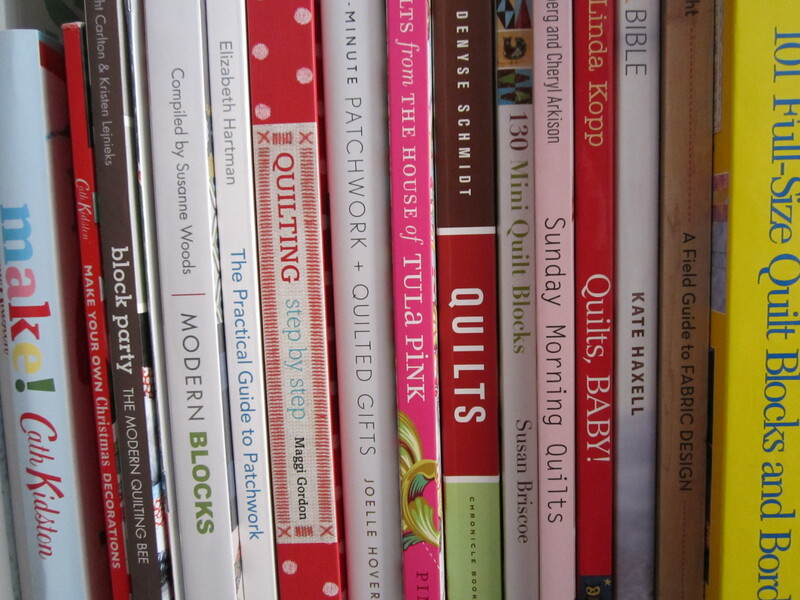 Books are one of the best tools a quilter could ever use! About 85% of my quilting knowledge has come from books with about 10% from videos (Craftsy & YouTube) and 5% from people I know. So, if you want to learn how to sew, quilt, knit, crochet, whatever, go and buy, borrow, preferably not steal, ask or share some books! It’s all about simple pleasures when you’re a quilter and the best one of all is the pleasure of making a quilt for someone special. Be it a family member (or impending family member), a friend, a client or for a group of people. It really is pure happiness to use your own talents to create something so one-of-a-kind for someone who holds a special place in your heart…. Oh no! I’ve gone all gooey! 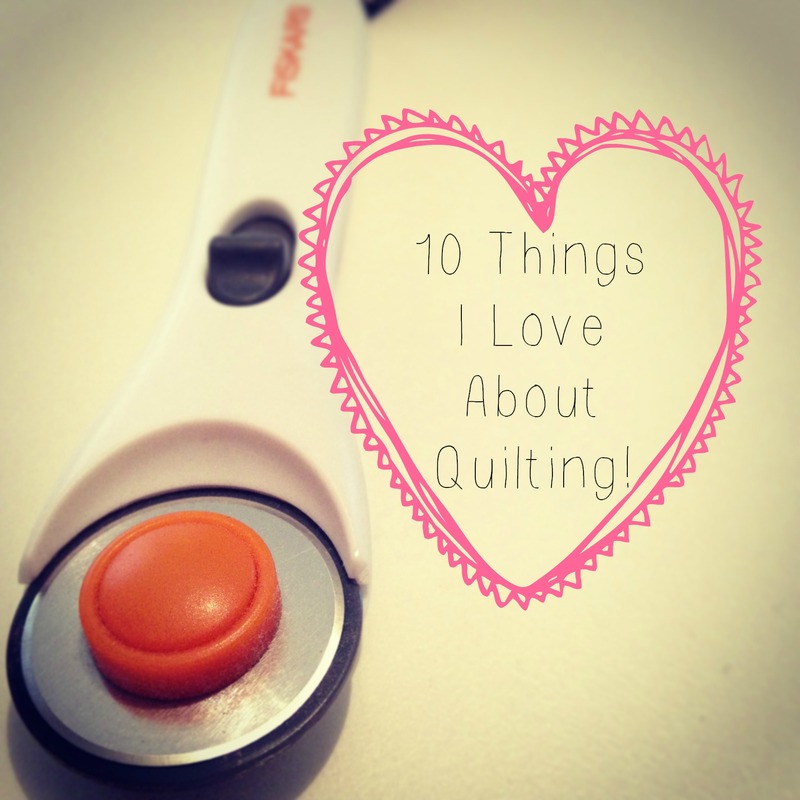 All ten things I love most about quilting. 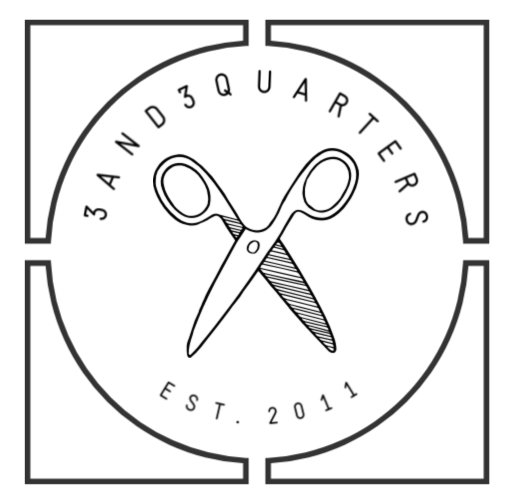 They all definitely outweigh the ten things I hate about quilting – but catch me in a bad mood and I may just change my mind! Previous PostBlackwork Newbie Next PostHello Bubba!